Many designs are similar to others. This, the color, birds are animals, Richelieu. But such designs of machine embroidery are very rare. You do not everywhere find so many mystic and fantasy forms. 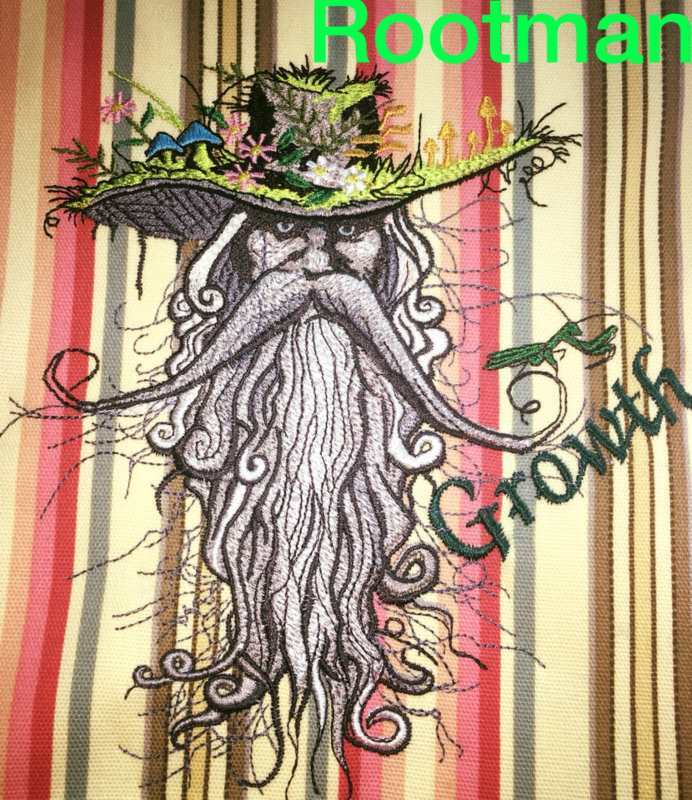 This is the design you choose for a new pillow, bathrobe or bag. All these implementation options you can see in the photos of our users. 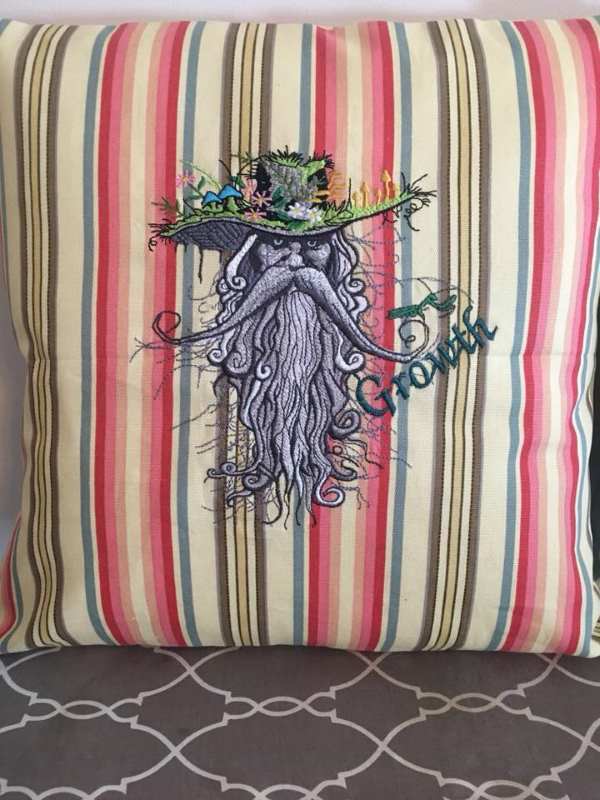 It looks especially beautiful on the cushion. This is even more a good choice, because the fabric of the cushions is dense and requires less application of the stabilizer. 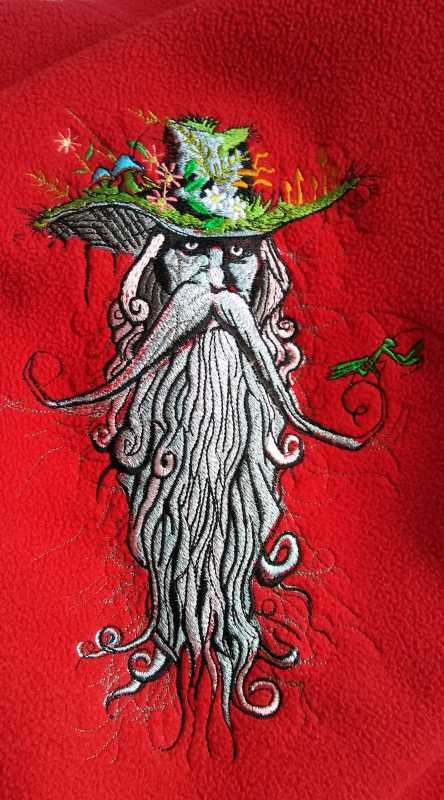 An unusual fantastic design of machine embroidery. Perfectly decorates your jeans jacket or pillow. 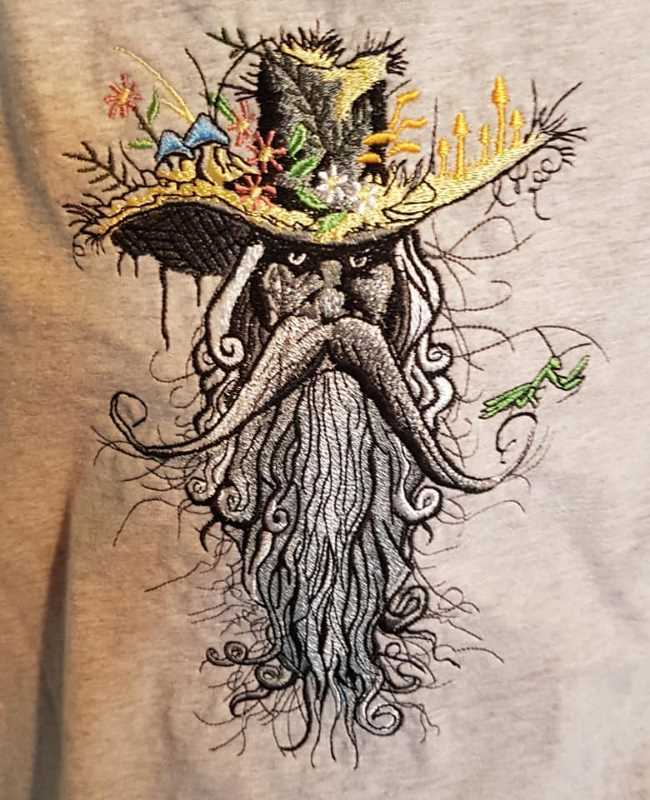 This embroidery design is dense. We do not recommend embroidering it on thin fabrics or a T-shirt. This machine embroidery machine has a smaller version. The design is absolutely incompatible with embroidery machines having only a paddle size of 4 x 4. We do not recommend changing the design measurement by more than 10-15%. Design is a file in digital format. To transfer to the embroidery machine, you do not need additional software. 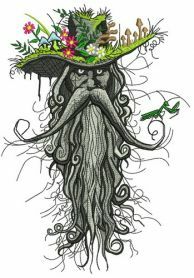 Beautiful but all of Igor's designs are magnificent !!!!! 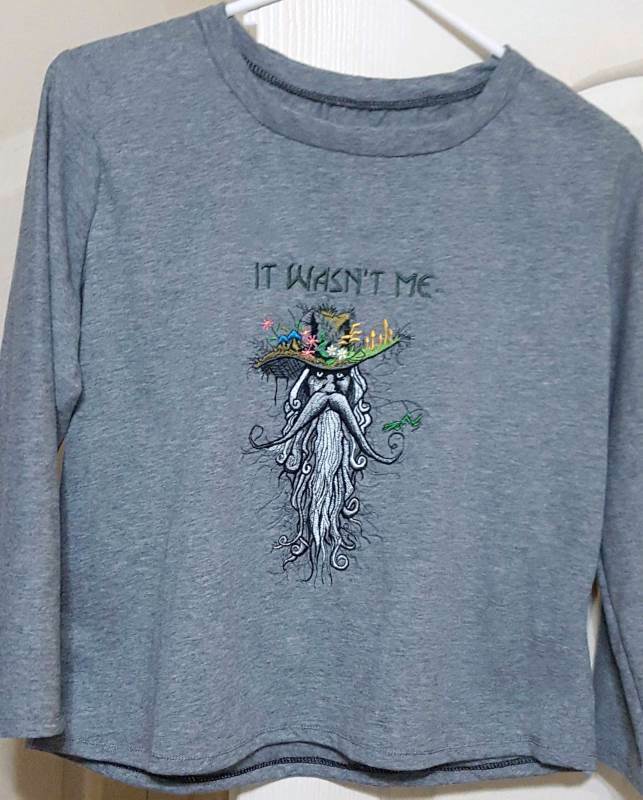 Love it so just bought it! 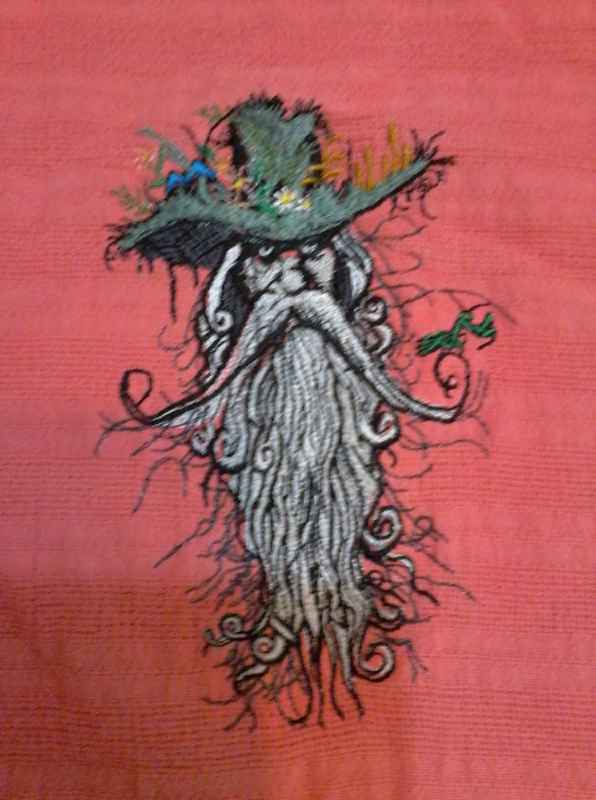 all the designs that embroideres post.... are too big for my embroidery machine... by wow...!!! this design is incredible. Any way you can make this as a wizard with a wizard hat? If possible please attach picture. For understand how you wish. 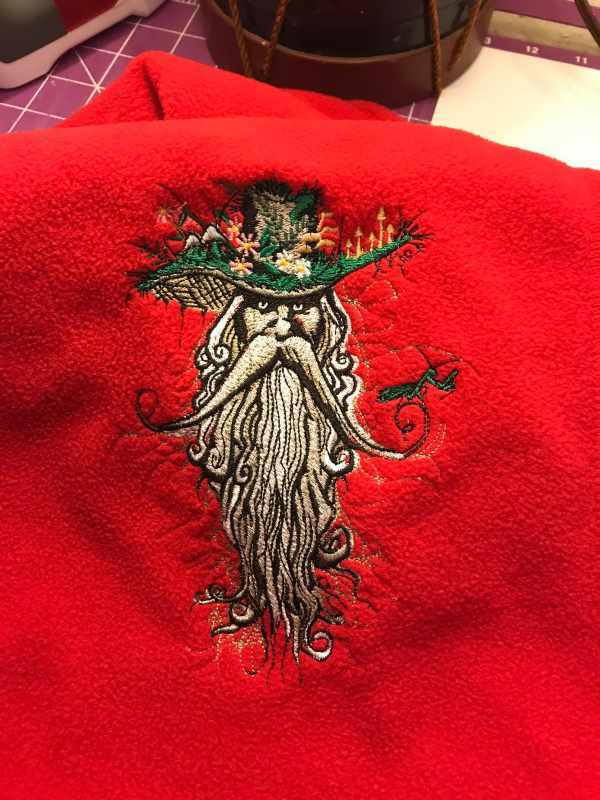 Beautiful and detailed embroidery design! I am pleased and will return to your shop. Adorable Fantastic Designs item as described. I’m trying to find the new design. I would need it in a .pes format for a brother se400. Would this be possible to digitize? Do I need to send you the image? Sorry, not possible for this design. Digitiizing also not possible. this design containded more small elements and embroidery effects. Love it! Stitch out very cute. Stitched out perfect love this scary man design. Was bigger than I thought it was going to be. My mistake for not checking size. Please explain what embroidery machine you have. You can choose (add, remove) new format in Order History page. 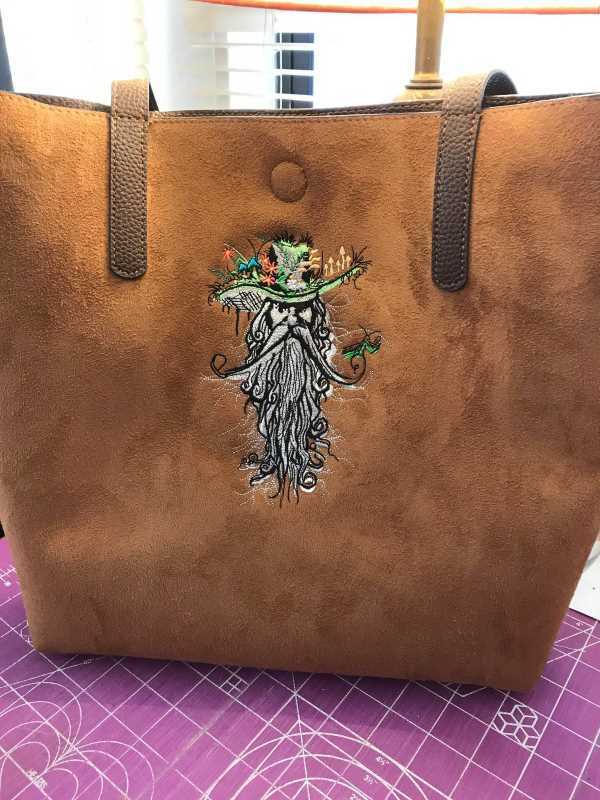 More information and instruction here https://embroideres.com/support#8829 . Also please send request via Contact US form. 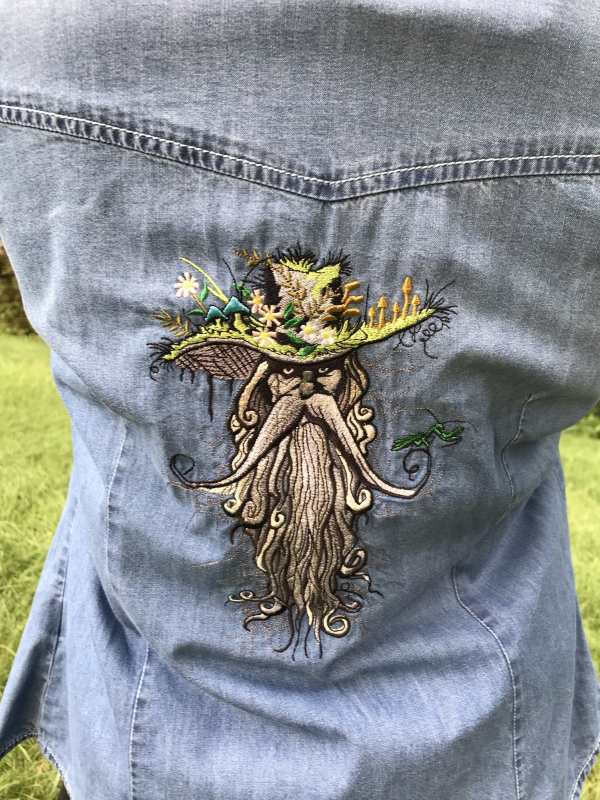 I embroidered the forest man on my jeans jacket. LOVE the result! Turned out exactly as on the picture. I'm glad. Would recommend the seller. Bag for every lady is the main accessory. This is not just a convenient storage for the necessary details. 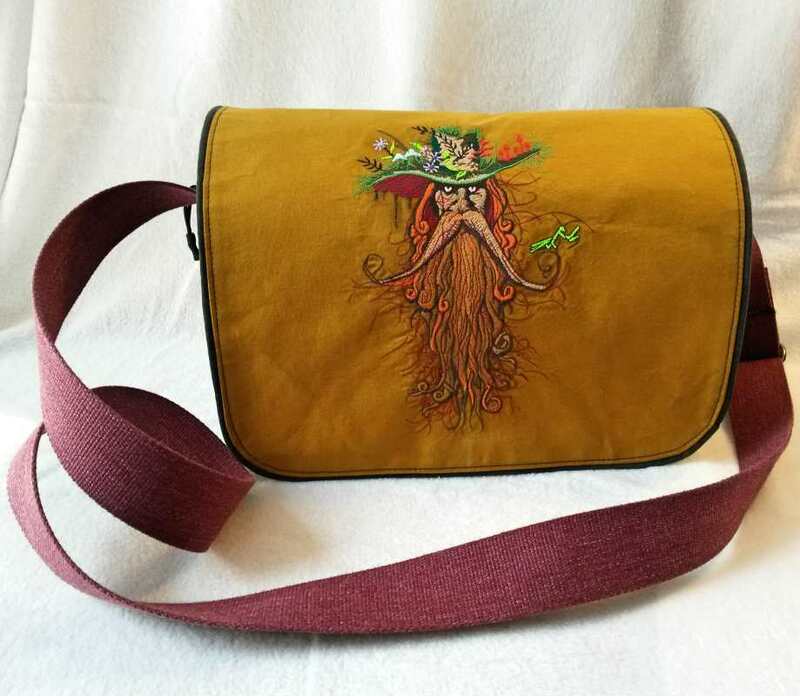 First of all, the bag is the accent of the image, giving expression, individual character. You can choose a beautiful accessory in the store based on personal taste and style of clothing. But a mass product a priori can not be unique. Not every woman has the opportunity to go to the company boutique for such a purchase. But there is no need for such costs. 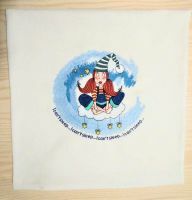 Drawing on the machine embroidery bags allows you to turn an ordinary product into an exclusive fashionable item. 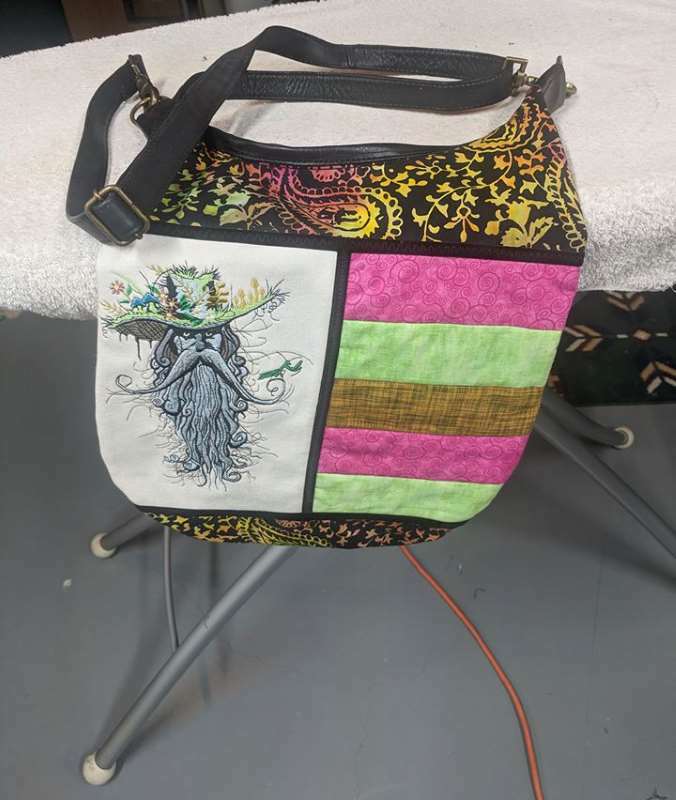 You can make such a bag yourself using your experience, our projects and of course the embroidery machine. 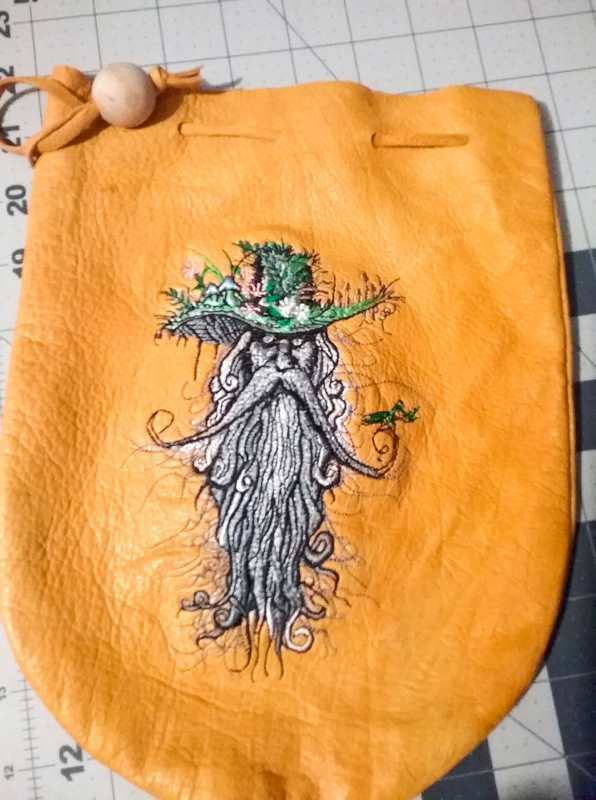 Embroidery on the bag is beautiful and fashionable. 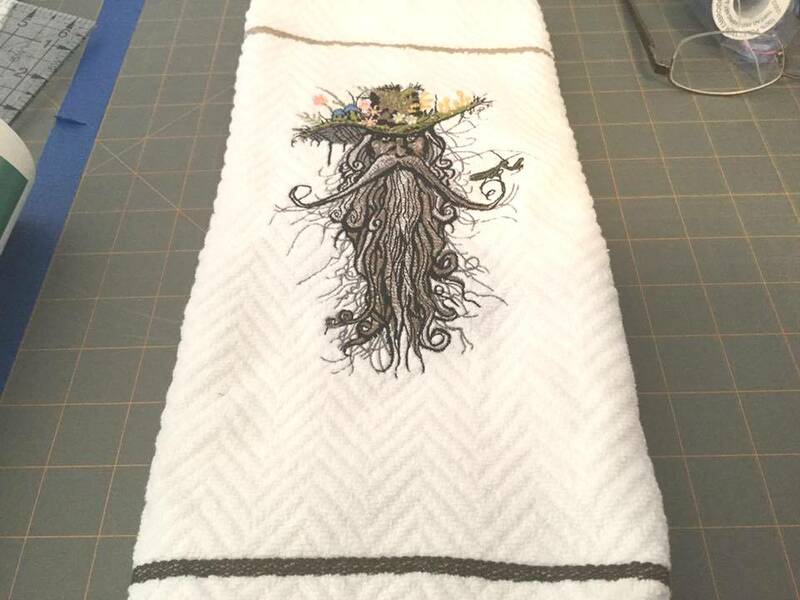 This is a great project that is convenient to use on large products from a single-color fabric. Like towels. 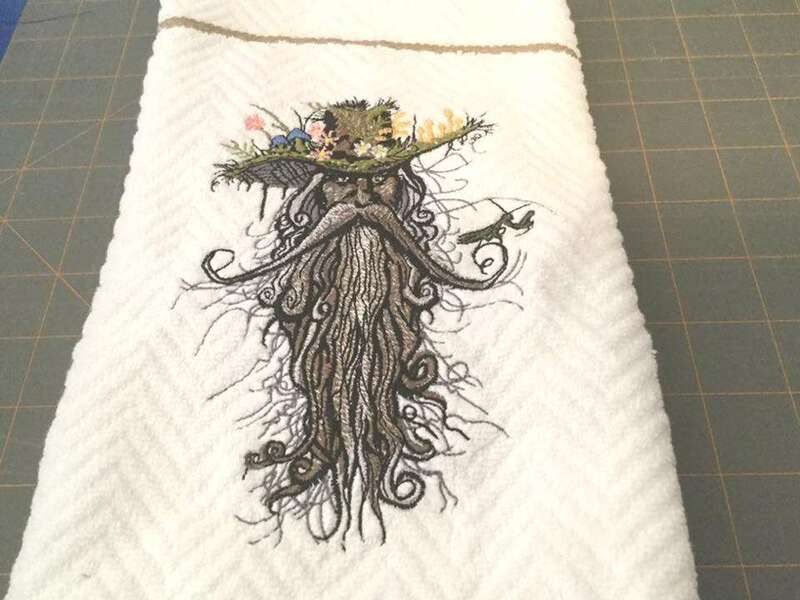 Embroidered white kitchen towel can be a great decoration for a dining room or a wonderful gift for a young hostess. For the product to have no problems, please use special types of stabilizers. If takn has a pile, it is necessary to put water soluble material like Avalon on top. In this case, your work will look perfect. You can make a whole set of products, for example, to additionally embroider a tablecloth or napkins. 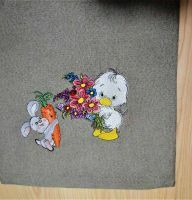 Denim is one of the best materials for machine embroidery. Ideal density, natural material make it the most interesting object for creativity. Also note that this is one of the most popular types of clothing for both men and women. This and casual wear, for city and for formal meetings. And of course it can be made even brighter and more interesting. Embroidered denim pants from the trend have already become a regular element of clothing. 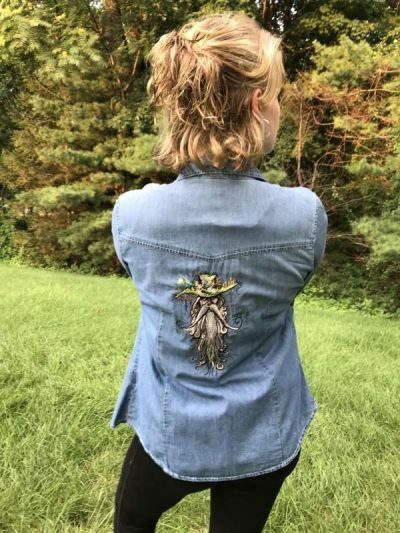 Embroidered denim jacket or vest can be your symbol. A large area of ​​the dorsal part allows you to place a pattern of almost any size on it. 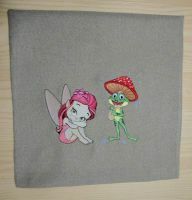 A high resistance to deformation allows the use of machine embroidery designs of any complexity. with lots of color effects. Carefully consider the location of the future decor. Try to keep the main part of it in the upper part of the jacket. So the embroidered product will look more impressive.